This Funny Tricky Riddle to test your sharpness and alertness of mind. This Tricky Riddle was asked in an interview and most of the candidate thought it as a fun question and failed to answer. The candidate which cracked the interview was immediately able to answer it. Lets see if you can quickly answer this Funny Tricky Riddle? Answer of this "Funny Tricky Riddle", can be viewed by clicking on answer button. Please do give your best try before looking at the answer. 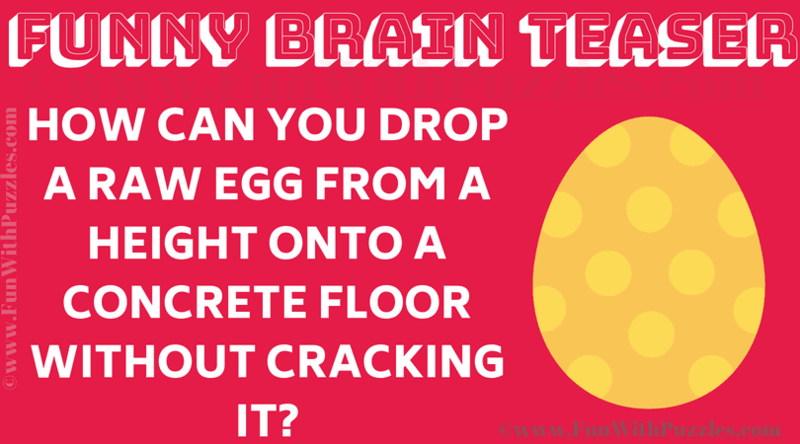 To answer this Funny Tricky Riddle, most of the people will try concentrate on the egg and then think of saving the egg from breaking. The candidate which cleared the interview concentrated on the concrete floor and said "Concrete floors are very hard to crack :)".